I’ve talked before about how vital creativity is, no matter what form it takes for you. 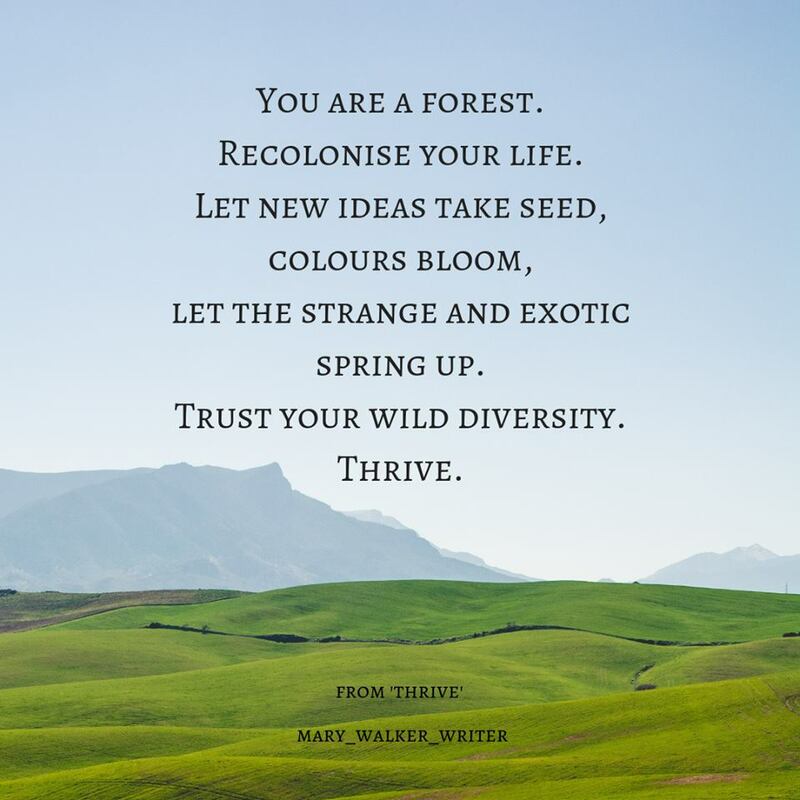 Today I wanted to share two poems that speak to that, by my friend Mary Walker. She is an amazing writer and inspiring person; I met her during the Write into Light class I took, and now she is leading her own online course, “Meet Your Creative Self,” which I am eagerly looking forward to! (It starts in February.) I thought I’d also share that info here, in case it interests you. You’ll find her description of it below the poems. Here’s to a beautifully creative 2019! no old hand will usher you in. you’d be in there already. but no one will bar your way. This is for any creative, not just writers. It's even for people who think they aren't creative (but secretly suspect they might be), for the start-stop creators; for those who create but are too scared to share; for those who create but think there's really no point in doing anything with it. It's all about learning that our creative self is always speaking to us, offering us creative urges and ideas. It's about learning to trust the creative process and being willing to create without seeing what might lay ahead - knowing that the next step will ALWAYS present itself to us. Working with your creative self is a joy. Our creativity is alive, vibrant and life-giving when we know how to work with it. Working WITH your creative self feels like the opposite of effort. Instead, it is about allowing. Less trying, more doing what you love. Less about the things ‘out there’, more about what’s ‘in here’. Less ‘building ourselves up’, more ‘knowing we already are’. Less ‘getting there’, more ‘already here’. In February, I'm leading a 10 week immersion called 'Meet Your Creative Self'. We are focusing on our relationship with our creative self, trusting our creative urges (including the urge to share our creative work in the world), and tuning in to our unique creative needs and practices. What are you being asked to create? What are you being asked to share in the world? And where and how do you do that? If you can sense YOU already have the answers, and are ready to tap into your innate creative wisdom, this might be for you. Enter your email address to get my weekly posts delivered right to your inbox! I respect your privacy very much and will only use your info to send you these posts. I would never share or sell it. Thank you! You will receive a confirmation email; please click on the link to finish the subscription process.